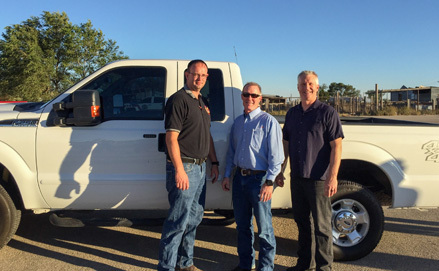 Devon Energy recently made donations to 12 volunteer fire departments in Eddy and Lea counties totaling nearly $20,000 in support of training, equipment and other needs. In addition to the monetary donations, Devon also donated a 2012 Ford F-250 pickup truck to Eddy County Fire Service. In a release, Devon said it is committed to safety and being a good neighbor in southeastern New Mexico. As its operations continue, its strong focus on safety also continues. Devon Energy Corp. operates in several of the most prolific oil and natural gas plays in the U.S. and Canada and is the second-largest oil producer among North American onshore independents. For more information, visit www.devonenergy.com.